Today we’ll get into the details of how to create a critical lift plan. 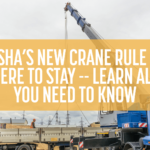 OSHA defines a critical lift as any lift that (1) exceeds 75% of a crane’s rated capacity; (2) utilizes more than one crane; and (3) is lifting personnel. Some companies also have internal parameters in place to dictate what qualifies as a critical lift. For example, a smaller company picking a valuable load might consider that lift to be critical, and the personnel making the lift may treat it as such. What goes into the proper planning of these lifts, though? We’ll give you these answers to help guide your team on how to create a critical lift plan. Lifts that are appropriately planned are executed properly, and this planning can help ensure that everyone on site is sent home to their families after they’ve put in a day’s work. Take a look at the area where the critical lift will take place. How are the ground conditions? Has it rained recently? What’s the weather prediction for the day of the lift? And there’s more than just weather to account for when making critical lifts — most importantly, what is the ground bearing pressure where the crane will be set up? The bearing pressure of the ground will play a role in the type of crane that’s used for a critical lift, how much matting is required, and the amount of weight that can safely be lifted. Documentation for verifying load weight on site. Can the crane access the lift site? Is the crane capable of achieving a sufficient setup radius, boom length, and boom angle? Has the wire rope been reeved to be greater than the crane(s) capacity? Are there obstacles that the lift will need to navigate? Has the crane been properly inspected? Is all necessary rigging equipment on site? Taking the time to make sure your crane is properly set up is crucial to completing lifts and ensuring the entire crew stays safe. Once the personnel are accounted for, it’s time to take the next steps toward making your lift. Be sure that all personnel have had the opportunity to review the critical lift plan. Then, complete a critical lift worksheet and ensure all parties are in agreement about the information in the worksheet. Now you’re ready to make a critical lift with your necessary personnel. We’ll be back soon with details about the process of making a critical lift. 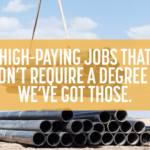 In the meantime, don’t forget to check out our most recent blog on How to Get Crane Operator Certification. 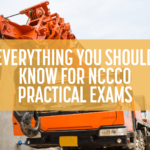 If you’re an individual looking to prepare for NCCCO certification exams, you can find more information here. 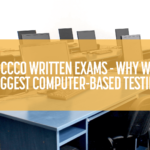 If you’re a business looking to have your staff trained for certification exams, need other forms of safety training, have more questions on how to build a critical lift plan, or you’re looking for the help of a Certified Lift Director — get in touch with us here.